Co-Founder at vRhythmSoftware Pvt. 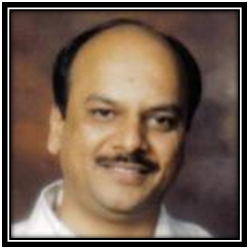 Ltd.
Senior executive with 20+ years of experience in software industry, working with startups to large organizations. Created several products from concepts thru architecture, design and delivery. He loves technology, and pretty hands-on technically. Strong believer in building right foundation (people, best practices, technology, frameworks, infrastructure that enable and empower teams to succeed. Loves mentoring people. Experienced in setting up and managing development centers in India. Management experience in the strategic planning, product vision and roadmap, technology strategy, staffing, budgeting, resource utilization, team building.